Top venture capital firm Andreessen Horowitz looks into four things when considering an investment: the idea, the entrepreneur, the market, and the business model. When it comes to the entrepreneur, the single most important quality is courage. Ben Horowitz believes only those with courage will stick with it when the going inevitably gets tough with a startup. 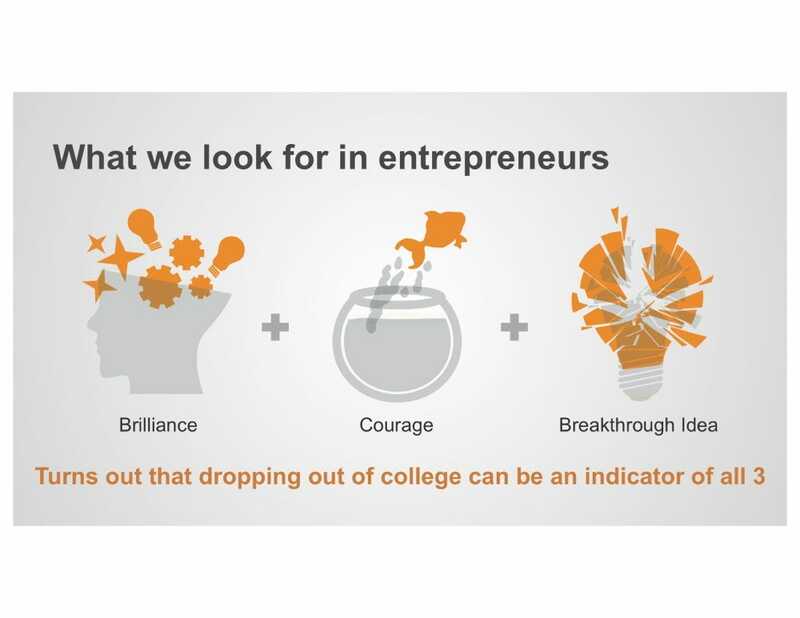 How do they find courageous entrepreneurs? They actively look for college dropouts. 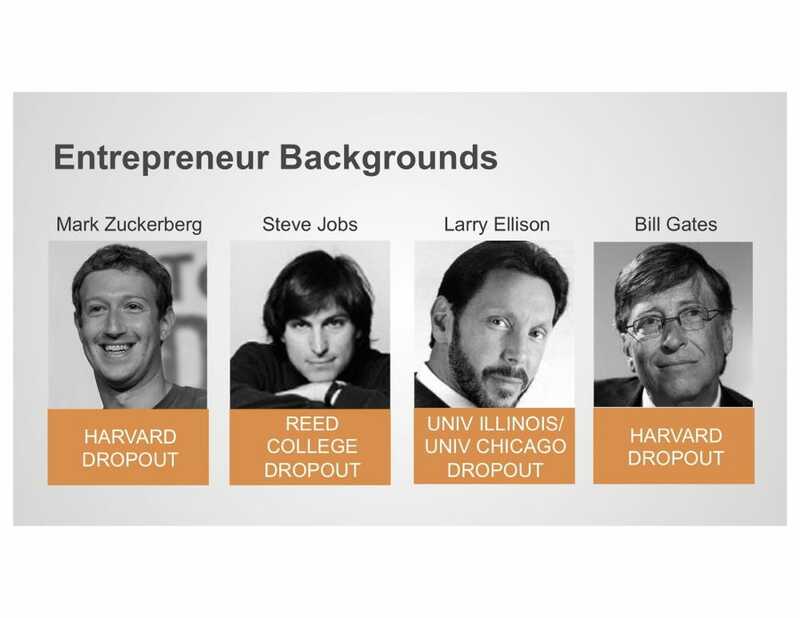 After all, there’s a long tradition of great entrepreneurs and visionaries who found the educational status quo insufficient. Some of the more recent examples are well known. A brilliant person who drops out of college signals that they have courage, and belief in the power of the idea they are pursuing. The common assumption is that a college degree signals your value to employers. Yet the number of interesting, dynamic firms who no longer even look at degrees when hiring grows. Now is the time to show that you’re different. Breaking the mold sends a powerful signal, much more interesting and meaningful than simply buying a piece of paper like everyone else.